I have a few favorite shops around the web. Layla Grayce has always been one of them, it's an eclectic mix of all things lovely. From children to women and even for your home. One of their latest additions grabbed my attention immediately. 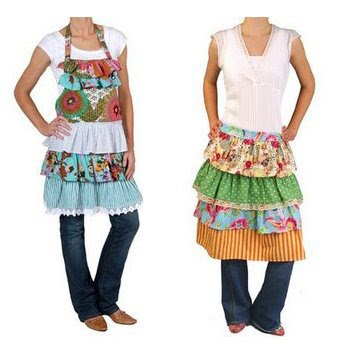 These aprons are definitely on the top of my list. I need one in every style and color, and already have them on my list of gifts for some of my favorite people. i'm dying for these. they are SO GREAT. i received one of these awesome aprons from your apron swap...i adore it! thanks for the site...going to it now! ADORABLE, this is going on my Christmas list! i met the maker and she is JUST AS COOL AS HER APRONS! buy 'em up!